Institute has an established network infrastructure consisting of Load balancer, UTM, core, distribution and access layer switches capable of delivering 1 Gbps LAN connectivity and 10 Gbps uplink with redundancy in core layer. A wireless network is deployed across institute's administrative block, academic block, hostels, guest house, dispensary and library. An Asymmetric digital subscriber line (ADSL) through EPABX serves connectivity to residential campus of institute. Institute has obtained its own IP address pool and AS number range from Indian Registry for Internet Names and Numbers (IRINN) and started functioning with them recently. 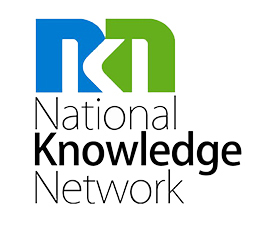 Institute has presence of National Knowledge Network (NKN), provides 1 Gbps connectivity for high speed computing and data transfer. ANUNET is a DAEs own network for internal communication as well as other scientific activity, seismograph based instrument hosted at IOP site which transfer data through ANUNET network.